I DO! I enjoy a glass of water kefir with dinner almost every night. It’s my delicious, fizzy little evening treat, plus it throws all those beneficial bacteria and yeasts into my gut to help my digestion and overall health. What’s not to love? 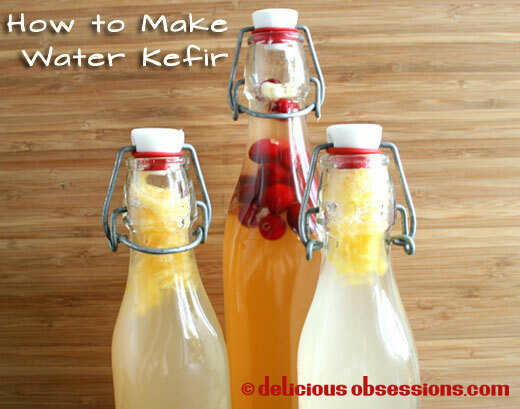 If you’re new to water kefir and don’t know how to make it, I recommend you read this “How to Make Water Kefir” post. This post will teach you the nitty gritty and get you started on your kefir brewin’ journey. 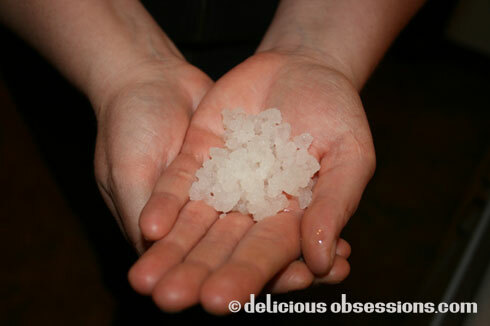 I have been asked by countless readers to share different flavor ideas for water kefir. The awesome thing about water kefir is that you can really flavor it however you want. It is very forgiving and you can be as creative as you’d like. Everything from fruit, to juice, to herbs, to flowers. The sky is the limit for creativity! For all of these recipes, proportions are what I use for my 1-liter flip-top bottles (like the ones in the picture at the top of this post). If you’re using smaller or larger bottles, you can adjust the proportions. So, for each of the recipes below, you would use 1 quart of brewed water kefir. There really is no science to water kefir. It’s rather forgiving and very customizable. Always leave some head space. As you can see from the title image, I leave a few inches in my 1-liter flip-top bottles. So, I probably use about 3 cups of water kefir per 1 liter bottle. You’ll notice that I use lemon or lime juice in almost every recipe. For some reason, lemon or lime juice has just become customary in all of my water kefir flavors. Not sure why. You can eliminate it if you’d like. You can use fresh fruit or fruit juice, whichever you have on hand (frozen also works). If you use fruit, make sure it’s chopped up or puréed, so the flavors release. For any of these, you can create a mineral-rich stinging nettle water kefir for an added nutritional boost. Brew your nettle tea, add sugar, cool, add your water kefir grains, ferment as usual. Flavor however you like. For full instructions on how to do this, please read this post: Ferment The Nettle Harvest. All recipes for approx. 1 quart of brewed water kefir. Learn how to make water kefir here. If you’re feeling adventurous, stir in some coconut milk when serving for a slightly fizzy, creamy treat! Fizzy Soda That’s Good For You! What is your favorite water kefir flavor? Leave a comment below! Yum!!! We love water kefir! Thanks for the great recipes. Pinning this now. Wow, that’s a lot of really delicious sounding water kefir recipes! After brewing my own kombucha for awhile, I recently started brewing water kefir, and I think I like it even better! It took awhile for me to get the sugar combo down and to start brewing up some good water kefir, but it still takes about 5 days to get to the level of tartness/fizz that I like! I do a secondary ferment for a day, then refrigerate, and I don’t add anything to resulting brew, I thoroughly enjoy it as is. One of these days I’m going to have to try one of these lovely sounding recipes though! do you blend your fruit with the kefir after? I bet that would taste better? Hi Jessica – I usually use my food processor to make the puree. You can also use your blender. I don’t strain my water kefir, but you certainly can if you prefer. Happy fermenting! Some creative recipes. I have been using 1/2 raw grape juice in 1 liter kefir in my second ferment because I can readily get it. Do you find using 1 tbl of carrot juice and 1 tbl of oj really makes it flavorful? Doesn’t seem like enough juice. Jessica, how do you clean your flip-top bottles? I have to use a bottle brush to scrub my Fido jars. I haven’t seen a scrubber that would fit inside the narrow neck of a flip-top. I brew my nettles with thyme and oregano…do you think they would kill off mt grains if I used that for first ferment? Hi Diane – I have never used herbs for the first ferment, only the second. Here is a post on how to do it with nettles: http://www.deliciousobsessions.com/2012/04/52-weeks-of-bad-a-bacteria-week-17-ferment-the-nettle-harvest. You’ll want to do the first ferment with just sugar water and grains, and then add the herbal brew for the second ferment. These are some great ideas! I tried using fresh mint leaves in my second ferment along with lemon, the leaves turned brown and unpleasant tasting. How did you use the mint? hi, is it possible to add a link so that we can print out these suggestions???? Hi Jessica. I’m getting back into making water kefir and I’m reading all about airtight vs mason jars. Very interesting. I’m thinking of getting some fido jars or picklit jars. For the second ferment, I still use mason jars but I’m curious about using the flip top jars. It just seems that the neck is so narrow that it would be hard to put fruit in there, and to get the fruit out. Also, I’ll be putting bags of herbs in some of them. Do you find that it’s hard to get that stuff in and out of the jars? Do these jars make a big difference? Thanks! Hi! I’m now fermenting my kefir with airlock tops for 1st ferment, then moving it to 1L and 1/2L ex-cap bottles for 2nd ferment. After about 24 hours in the bottles, it gets a lot of pressure, and I have to open them very slowly. So it seems really fizzy at first, but then the fizz goes away really fast and it’s not fizzy once I put them in the fridge and want to enjoy a fizzy drink. Do you have any suggestions on how to keep the fizz? Do I need more sugar in second ferment? Or 2nd ferment longer? Should I “burp” it or would that make it lose fizz? Hello, can anyone tell me if water kefir expires or goes bad after a period of time? No, it won’t spoil, though the longer it sits, the more alcohol that builds up, so keep that in mind. I have had some batches that I forgot about in the back of my fridge and when I opened them up, they were like wine. They still tasted good, but definitely had a punch, and if you were avoiding alcohol, then I wouldn’t advise drinking them. They continue to ferment for as long as they sit, so they’ll just get more and more alcoholic the longer they go. I’d recommend drinking within in a week or two after brewing to ensure the least amount of alcohol, but that also will vary from batch to batch. Love the article! Can’t wait to try some of these yummy recipes!! I am new to kefir soda making. My kefir seems to be brewing well during the first fermentation. And it builds carbonation well in the second fermentation. However, after a day in the flip top bottle, my soda grows this slimy-looking stuff at the top. Is this normal? I’ve tried rinsing the grains to make sure there is no strange “bad” bacteria growing in there. Also making sure to sanitize my jars and bottles. But it keeps coming back. I’m a little scared to drink it. What are you thoughts? Hey Jessica – thanks so much for this information and your site. Such an inspiration! My girlfriend and I have been fermenting everything we can get our hands on for the last couple of months and absolutely love it. We sometimes worry a bit that people will think we’re crazy, but it doesn’t last long! There’s something truly magic about just letting nature do its work, and rediscovering what our ancestors knew. Hello Jessica, I’m new to kefir making, my first batch is brewing right now…. do you leave the kefir grains in during the second ferment after you add your juice/fruit or do you remove them and then add your flavors? Thank you for all the recipes! I made my 2nd batch of water kefir yesterday. I didn’t like the taste of the 1st batch so I added some ginger and lime juice for the 2nd batch. It came out very fizzy already but I still didn’t like the taste. So inspired by your recipe ideas, I used a flip-top bottle to do my second ferment with some beet and water melon juice. I left it over-night. And this morning it exploded!! My kitchen was like a murder crime scene! Do the strawberries HAVE to be fresh? With all of the other berries you say fresh or frozen, but not the strawberries. Is there any particular reason why? Thanks! Actually, I have two other questions… One, if there are black specs in the kefir grains- is that ok? Also, is it always sweet? I let is ferment for three days and it is still pretty sweet, but I was thinking that might just be the flavor? Hi Colleen – That is strange that the grape juice did not produce a lot of fizz. Grape juice is very high in sugar, so it should have worked nicely. You could try letting it go a little longer and see. I have noticed that sometimes the amount of carbonation varies from batch to batch. 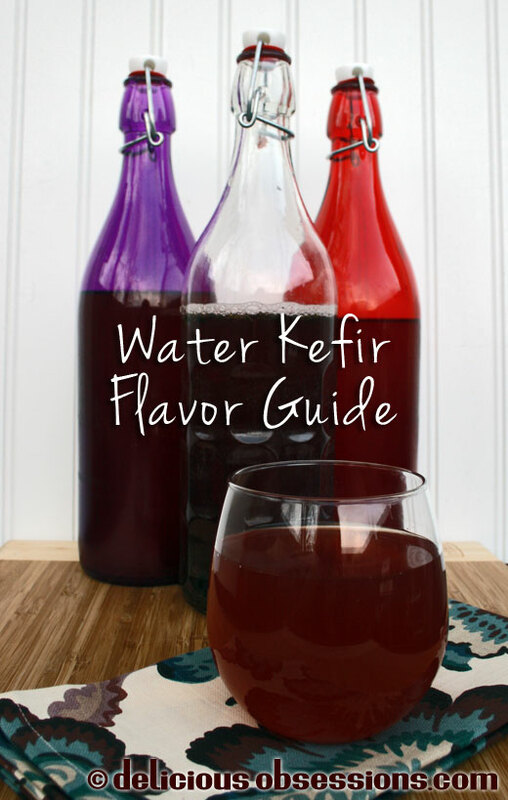 I have a water kefir flavor guide here with a lot of ideas: http://www.deliciousobsessions.com/2013/02/lets-get-fizzy-with-it-your-water-kefir-flavor-guide/. I find that I seem to get the most fizz when I use fresh or frozen fruit. I also get a lot more fizz when the weather is warmer than I do during the fall and winter. I have made a few batches of water kefir with great success, and I love it! But my last two batches have spoiled, rather than fermented during the second fermentation. (It seems fine until after I add my juice.) Any ideas what might be wrong? Thanks! I’m excited to try your flavors! Hi Ivy – That is strange. I am not sure why it would be doing that. Have you used the same kind of juice each time? If so, perhaps try making another batch, but use a different juice. Maybe the juice you had was contaminated with something. That is the only thing I can think, as juices are so high sugar that they usually make the grains VERY happy! Hope that helps a tiny bit! Hi! Love your combinations; we’ve been having fun with our flavours too. Ginger syrup is always popular. Another standby (especially when I haven’t prepped anything else) is real maple syrup. And, most exciting, I recently harvested about 10-12 wintergreen leaves, chopped them up and made a simple syrup with them and part of a vanilla bean to make a root beer! I don’t have anymore wintergreen, so we’ll have to get some more for the garden. It was yummy! I did an experimental spiced batch and the kids and I loved it so much that we make a separate jar of it every time now. We put the spices right in with the grains during brewing, but that will leave you with grains that have the spices stuck in them, so you might want to keep them separate from your normal grains. To make it, we add about 1/4 tsp – 1/2 tsp each of ground cinnamon, clove, allspice, and nutmeg (basically the same spices used to make mulled cider). I have been making kefir water for awhile but I seem to have varying results with the second ferment. I have one batch that I just made that when I opened it, it smelled a little like alcohol and even burned my nose. After a minute it smelled normal. I decided to taste it because I couldn’t imagine that it had gone bad. I had only left it out for 24 hours. Well….it tastes great! But I am worried about the initial smell…what do you think? Hi Sandi – I have not experienced that issue (burning the nose) with such a short ferment, but I have had batches that I have forgotten about for a long time and it ends up tasting like wine. Any ferment will develop alcohol if left too long. I have always been told that when it comes to ferments, you go by your nose and taste buds. If it tastes OK, it’s probably fine. I would try doing a shorter second ferment, maybe 12 hours, and see how that works. The warmer your house is, the faster it will ferment. Hope that helps! I’m waiting for my WK grains to come by mail and reading up so I can begin my new culturing adventure. Do you find that, for the 2F, you need to replace the fresh fruit daily? I heard that on the Cultures for Health website, but I haven’t read that elsewhere. Thanks for the great recipe ideas! Hi Misty – There is no need to replace the fruit during the second ferment. That would actually defeat the whole purpose, because you would have to open the bottle, strain it out, and re-bottle it. This would allow oxygen and potential cross-contamination into the brew. Water kefir is such a fast ferment that you really should not need to let it go more than 24-36 hours for the second ferment before moving to the fridge. More than that and you will start developing alcohol. I let one batch go for a couple weeks (I forgot about it) and it was wine. WOW did that have a kick! I have recently been introduced to the SCOBY family and love them. My husband took a liking to Kombucha very quickly and I did too. Then I was introduced to the little kefir guys and fell in love. I love all living things so this wasn’t hard to do. 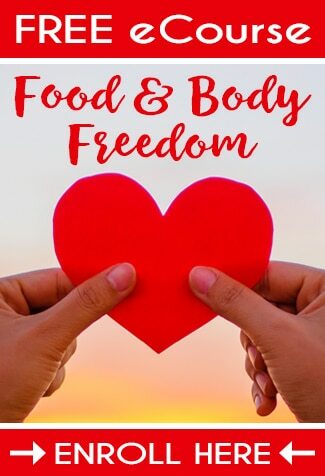 But I haven’t been able to find something good to make with them that my husband enjoys, until one day I needed to make a bread for supper and quick.. the only bread I could think of that sounded enjoyable at all was beer bread… but, we had no beer. Lo and behold I decided to try the water kefir and it worked amazingly! I make at least 2 loaves every week or more! lol Cheese on top and it’s delicious! But thank you for your recipes because I have never tried any fruits for the second ferment, only Cream soda which wasn’t my favorite. Tomorrow I am going to try the blueberry lemonade and a few others I found that were inticing 🙂 Thank you! Do you have recipe for that bread? Sounds delish! Thank you for this site! I had a question. I’ve made Kefir water only a few times. First two were unsuccessful but the next three have been nice. Fizzy and fun but still not quite the flavor I’m looking for. My last batch I had a strange problem. The brewed kefir (first brew) was so fizzy that it overflowed when I added more sugar (to make a lemonade flavor.) So obviously crazy fizzy. I added the organic sugar (cleaned up the mess of over flowed fizz) added a good bit of lemon juice and bottled it for the second brewing. 24 hours later NO FIZZ! Where did my fizz go? How could it be so fizzy after the initial brew to no fizz after the second? It tasted good just flat. Was it the sugar fizzing all the good stuff onto the table? Was it the lemon juice? I liked the flavor and want to try this version again….if I can figure out what happened to the fizz. could I use brewed iced tea for the flavouring? Or possibly just stick a couple teabags in? Or do I need that extra sweetener too? I’ve used Celebration herbal teas to flavor my kefir. “Hibiscus with an organic twist” is my favorite. Hi I love these flavor combos. I made your cherry limeade,also a simple blueberry one with added coconut sugar. I found that with fresh fruit the flavor isn’t really there. I’d like to experiment with dried and see what the difference is. I’m including this page in my handout for the class im teaching in a week. Thanks for the inspiration. Cheers! WHere do you get the flip top bottles? 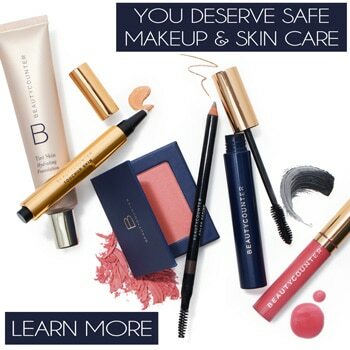 Hi Mishale – I have gotten them at a variety of places: Sur la Table, Ross, TJ Maxx, and even Amazon. Just make sure they are Italian or French glass. Don’t get the ones made in China, as I do not trust those to be good quality and safe for fermenting. I like making the vanilla kefir but I cant get it to fizz and it is really way too sweet. I add the vanilla for the second ferment, but it just stays flat. Can you help. I have been making water kefir for a few months now and love it. I made a new batch the other day and when I went to strain the kefir the liquid was very thick and goopy. Can you tell me what might have gone wrong? Hi, I’ve only been doing this for 2 weeks, so still new to this. Cultures for health recommends a cloth or coffee filter to cover the jar during the first ferment. But I read in one of the posts above that exposure to air isn’t so good. Is that only for the second ferment? Obviously, if you want carbonation, you need to seal it off, but if you seal off the first ferment too, is that better for the grains? Mine are only just now starting to take off, I just had a second ferment get really fizzy for the first time. I used raisins and a chopped up prune for a Dr. Pepper like taste. Maybe the sugar in the raisins is what put it over the top. my kefir realty doesn’t fiz and no flavor at first 2 day fermant? If it is fermented, shouldn’t it have a different taste? I had a question I was hoping you might be able to help me with! I’ve just started making water kefir, and everything seems great for the first ferment. After 2 days, it smells lemony and yeasty, tastes fairly good. Then when I try a second ferment… things go downhill. It gets super fizzy, tastes wonderful, but smells so bad that I’m too worried to actually drink much of it. It smells like sulphur and bad fruit. The recipe that came with my grains said to use a cup of fruit juice to one quart of kefir. Is that just too much sugar, you think? And is it normal to get globs of what looks like yeast floating in it? Hi Daymon! Thank you for stopping by! How strange that the second ferment is getting such an off smell. I’ve never had that happen and I am uncertain as to why it would be happening. One cup of fruit juice to one quart of kefir does seem like a lot to me, but I also tend to be on the lower sugar side of things. I usually just put a couple small pieces of fruit and maybe a squeeze of lemon or lime in mine. It sounds like things are fermenting too quickly though you said the taste is fine. Normally if something is over-fermented it will just taste more alcoholic. Yes, the yeasty globs are normal, though there shouldn’t be a ton of them. I always tend to have smaller strands or very small globs. Are you on Facebook per chance? If so, I highly recommend my friend Lisa’s group: https://www.facebook.com/groups/CounterCultures/. She is a fermenting expert and I always go to her when I get stumped. Hi,I’m very new to kefir grains and hoped you could help. How do I know when the first ferment is ready? The instructions that came with the grains say not to leave them longer than 72 hours because it starves the grains but I don’t like the tartness so anything more than 48 tastes awful to me anyway. But it’s winter and your kefir takes a longer but I don’t know really know what I’m looking for. I’m excited to try some of these. I just got my grains from a friend of a friend today. One question I have is, why only fresh cherries in the cherry limeade? Is there a reason I can’t use frozen? Obviously I would want to use marchino (sp?). I’m just starting on this water kefir journey. My first batch finished today and it was good! The kids and I loved it. However, my husband really likes sodas and isn’t too big on fruit. Could I flavor kefir with a chocolate syrup or with a natural cola or root beer extract? I have successfully used various fruit juices to produce a fizzy water kefir from the second fermentation. But whenever I use something else other than juice I don’t get the carbonation that I desire. For example, with the Vanilla Cream Soda, do get carbonation? I have not been able to get that to become fizzy. I just bought some root beer extract to make root beer kefir and I like normal I add my extract, and dissolved sugar in water to the water kefir but it is still flat. Any suggestions? Hi Jessica, I am a newbie at water kefir. I’m using spring water & raw coconut sugar & the kefir grains have doubled in just 2 brews! But, how do I make it fizzy? I don’t really know what I’m doing but it tastes ok, a bit coconutty but flat. Please advise about how to make my water kefir fizzy?? Hi Jan! Thanks for stopping by! That is AWESOME about your grains! It sounds like they are super happy, so keep doing what you’re doing! For most people, a second ferment is required to build up carbonation. I was never able to get a fizzy water kefir with just a single ferment. The second ferment was always required. I recommend doing this in a tightly sealed bottle (like a flip top beverage bottle). I recommend reading this post, specifically step #6 in the recipe which tells you how to go about doing a second ferment: https://www.deliciousobsessions.com/2012/07/52-weeks-of-bad-a-bacteria-week-26-how-to-make-water-kefir/. Hi! Thanks for all the recipes. Ive been making lemon and lime flavored water kefir for awhile bc that seems to be what my family likes and I even add a few teaspoons of sugar with the second brew but it isn’t getting fizzy. And ideas why? I’ve flavored it with peach syrup from the can and the expensive unprocessed cherry juice and they both got fuzzy but the kids didn’t like the flavor. I figured the fizz came from the sugars. Do I just keep adding sugar to the lemon till it gets fizzy? Does yours get fizzy with no added sugar? Thanks for your help!! Hi Karen! Thanks for stopping by! Yes, my water kefir always go fizzy during the second ferment. I used the flip-top bottles that are in the picture above and never had a batch that wasn’t fizzy. The first ferment was never fizzy for me though, so the second ferment was the only way to generate the fizz. It could depend on what you are doing your second ferment in. Any time I would use a bottle other than the ones above, it would get a tiny bit fizzy, but not enough to really be enjoyable. Hope that helps!! Thank you so much. It has been a lot of fun trying different combos.There certainly is a lot of room for experimentation and some batches turn out better than others. I’ve tried several times to use mango or watermelon. Those seem to turn out bitter after 48 hours of fermentation. Do you think the sugars get used up faster and I should drink them after 24 hours? Or do I need to let them ferment longer? Thanks for the quick reply! I was under the impression the 2nd ferment should be 48, but tried at 24 hours for this batch and it was so much better! Now, to find a new rhythm of fermentation…. How long do you second ferment with flavors? Hi Tara – It really depends on your own taste preferences. I personally like my second ferment right at 24 hours, though anywhere between 12 and 36 hours seems to be average. The longer it ferments the more alcohol will potentially be produced so that is something to keep that in mind. Hope that helps!! Hi, thanks for sharing all these wonderful flavor ideas. Can I check do you add your flavor to the second fermentation? I’ve read many articles with differing ideas. I’ve recently started making water kefir and only add the flavors to the second fermentation. I’m relatively new to the water kefir world. I’ve had my grains for about two months, and I think I’ve finally gotten the hang of things. I found this post when looking for flavoring options and advice. So many options! I’m interested in trying some fermented herbal tea, but I’m a little uncertain about the method. In this post, and in one of the comments here, you recommend brewing the tea and then using that in place of the water in the first ferment. But in the linked fermented nettle tea post, and also in a different comment here, you say to add it to the second ferment. Is it a matter of preference? Hi Chalyn – Thanks for stopping by! It takes a little while to get the hang of things but once you do, it gets really easy. You could do it either way — I think it’s easier to use it in the first ferment. I do recommend reserving some of your healthy grains in case something goes awry in your brew. That way you have backups to keep you going. Hope that helps! Another quick question…When using fresh fruit in the second ferment, I’ve seen a couple of places recommend removing the fruit after 24 hrs., but it looks like you just leave yours in there. Seems like it would be difficult to remove the fruit if you’ve already bottled your brew. Plus, I’d think you’d lose a lot of the fizz. Is this just another preference thing? Just wondering if you could give me some pointers. Every time I use lemon or lime juice in my second fermentation (bottles with locked lids like you have) they never get fizzy. 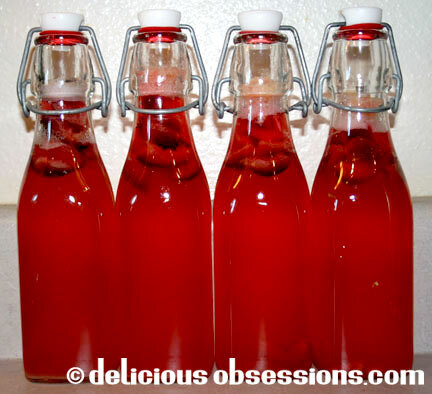 When I use apple, cherry, pomegranate or pineapple they get super fizzy. Any ideas what’s going on?